Eczema is more prevalent now than ever before. Conditions like this don’t just suddenly develop on their own affecting hundreds of thousands without any real source. The rise of these conditions correlates with how society has changed from years ago – more chemicals in our food, more chemicals in our environment, more chemicals being injected, more chemicals being used on fabrics. The good news is that you can find the cause and heal eczema naturally. Much of the modern medical community shares this idea about eczema. Look closely “medical conditions that cause the skin to become inflamed.” There’s one major flaw in the definition. The reality is that eczema is not the cause, it’s the symptom of a bigger issue. As the traditional and alternative medical practitioners know, if you only treat the symptom, the cause will still be there. Getting rid of the rash via the symptom will not take care of the inflammation inside the body from the intolerance. *The fixes here are for the actual cause of the eczema. For treatments of the rash (the symptom), see below, after reading about how to fix the cause. In reality, the highest percentage of eczema cases stem from a food intolerance. There’s something being fed to the body that it cannot tolerate and its reaction is to try to eliminate it through the biggest organ, the skin. This is what causes the reaction of the rash known as eczema. I wish I could tell you the magic food that is causing the issue for you or a family member, but the reality is that it is different for everyone. The most common ones are dairy, egg, gluten, soy, nuts and chocolate. For some people, it’s just one of these things and for some, it can be a combination or all. 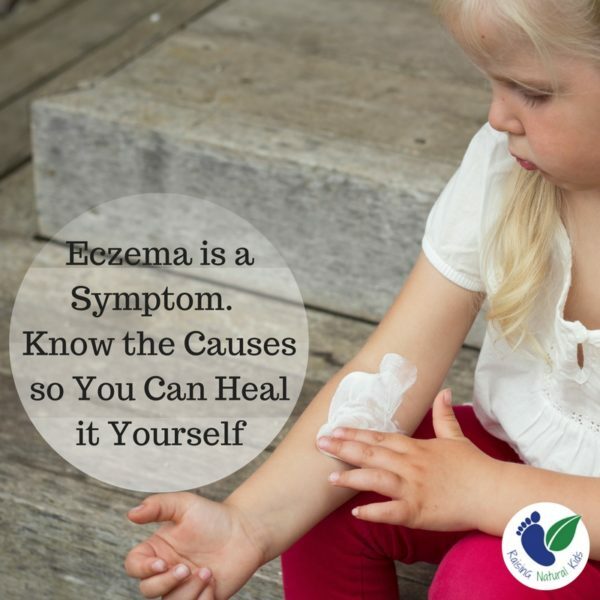 Please note that the eczema isn’t always a result of a new food. It can be a result of a buildup of a food that the body seemingly seemed to do okay with but an overload of it caused the body to react as it couldn’t handle it in large quantities. If the person with the issue is a baby who is nursed, it’s often an intolerance to something the mother is eating and the mother will have to do an elimination diet. If not a baby, the person with the eczema will have to do the elimination diet him/herself. You can start by eliminating all major culprits OR you can do them one at a time. It can take 3 or 4 weeks of eliminating a food to see a difference with the eczema, especially if the eczema has been around for a while. The more the toxin (what the body can’t tolerate) has built up in the system, the longer it will take to get out. It will be key to keep a food journal during this time so that if there is a major flare up, you can correlate it to a food eaten. Keep in mind that you will have to read the ingredients of everything, as they may be found in baked and processed foods as well. This can be anything that comes in contact with the skin, including soaps, lotions and laundry detergents. Your skin is the largest organ so it’s just as important to be careful about what you are putting on your body as what you are putting in it. Please note, this category also includes pet hair and dander. As the hair and/or dander come into contact with the skin, they can cause the same reaction. You want to choose products that have minimal ingredients all of which are recognizable as naturally occurring and that are organic, as you don’t want what you are using to contain pesticides that end up on your skin. It’s also important to note that some people may be allergic to natural ingredients, so pay attention to what’s happening with a product even if it’s natural. After reading this you may realize that you have products you will need to toss and need alternatives for. When it comes to laundry detergent, I really like Molly’s Suds. Here’s the ingredients: Sodium carbonate sourced from the Green River Basin in Wyoming, sodium bicarbonate, magnesium sulfate (heptahydrate), and unrefined sea salt. 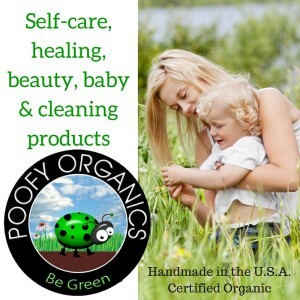 For personal care products, from shampoos, body washes, deodorants, baby wash to even make-up, I choose Poofy Organics simply because everything is made by hand in the USA by the owner and her small staff with certified USDA organic products. 1) No child with atopic eczema or other skin disorder should be vaccinated. 2) No child should be vaccinated if any member of his family has eczema or other skin disorder. 3) Parents of children with eczema should be notified at the onset of the disease of the danger from vaccination contact. 4) If a sibling of a child with atopic eczema is vaccinated, he must be completely separated from that child for at least 21 days. 5) Forms used by state and local health departments for parents’ consent to vaccination should include an appropriate warning of the contraindications. 6) Eczema vaccinatum should be a reportable disease. 7) Patients recently vaccinated must be excluded from pediatric wards containing patients with atopic eczema, other diseases of the skin, burns or healing surgical incisions. And, what’s interesting is that “In 2012 Clinical Infectious Diseases, a publication of Oxford University Press for the Infectious Diseases Society of America says, “Despite careful screening to exclude persons at risk of adverse reactions, the past decade has seen a number of instances in which a ‘vaccinee’ or a household contact has developed a disseminated vaccinia virus infection.” (2012;54(6):832–40). They go on to say, ” Current guidelines, therefore, exclude anyone who has been diagnosed with eczema or has a household contact with the condition”” (Nourishing Plot). Yet, I know so many people who have children with eczema who continue to vaccinate their kids as neither the parents nor the doctors seem to be aware of these risks or associations. As far as medications, the body may react to a medication in the same way it does to a food it cannot tolerate, thus why some medications may cause a reaction of eczema. If you are someone who chooses to vaccinate, you may want to hold off on the vaccinations for a while until the eczema is cleared up. If, when it is, you do decide to resume vaccines and the eczema reappears, you have clear evidence that vaccines are all or part of the issue and should either be stopped or at the very least presented and discussed with the doctor. Detoxing the body from the inside out is very important. There are three products I recommend often because of their success rates. One is a greens drink that gently detoxes the body. It’s one my kids drink each morning, just for the nutrients alone. You can read more about that here: Alkaline Kids. This is it here: Lemon Green Spectrum. Fulvic Zeolite is another good detox for vaccines, as it helps to pull heavy metals out of the body. The third product I recommend is called Biome Medic as helps to fix leaky gut, detoxing it while at the same time restoring gut villi. 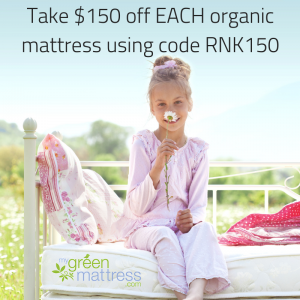 If you’d like to try any of these, code raisingnaturalkids will take $50 off your order. If you go to the doctor for eczema, most often he/she will prescribe a steroid which may include hydrocortisones & hydrocorticosteroids creams. Steroids suppress the immune system’s response. While it may clear the rash for a time, it almost always comes back when steroids are stopped because you have not addressed the real issue. Let me preface this by saying that you MUST be treating the cause at the same time that you are treating the symptom of the eczema rash or you will not get rid of it. By treating the cause, I mean figure out what’s causing it based on the information above and avoiding it. The following options are great when used in conjunction to treating the cause. Oatmeal Baths. Oats have anti-inflammatory and moisturizing properties. To avoid a big mess, pour the oats into a nylon knee high and knot it, adding the oat filled sock to the bath water and soaking in it for at least 20 minutes a day. This is an easy and cheap healing solution, however, you will probably still need some kind of lotion or salve to use with it. Please note that the bath water should be lukewarm as heat often aggravates eczema. In addition, once you get out of the bath, be sure to towel dry right away as moisture from water also tends to irritate the rash. A Cleansing Greens Drink. This is something you can drink daily. Detoxing the system from the cause, no matter what it is, greatly helps. In fact, it’s an important step in healing. I really like this one from Purium. 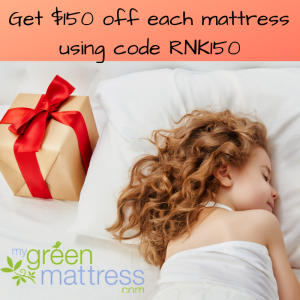 You can try it with $50 off a purchase of $75 or more using code raisingnaturalkids. They have other great cleanses and nutrients for kids and adults as well. Salt Water. The water of the ocean has so many healing properties, so if you live near one, get in it as often as possible. If you don’t, you can prepare your own solution in the bath, mixing a half cup of Himalayan or sea salt and a cup and a half of magnesium flakes* into the bathwater (about a cup of each). Again, note that the bath water should be lukewarm as heat often aggravates eczema. In addition, once you get out of the bath, be sure to towel dry right away as moisture from water also tends to irritate the rash. Ciao Eczema Lotion. I know a lot of people who have had great success with this, so much so that I have a hard time keeping on the shelves as I stock it at my mother’s holistic shop. 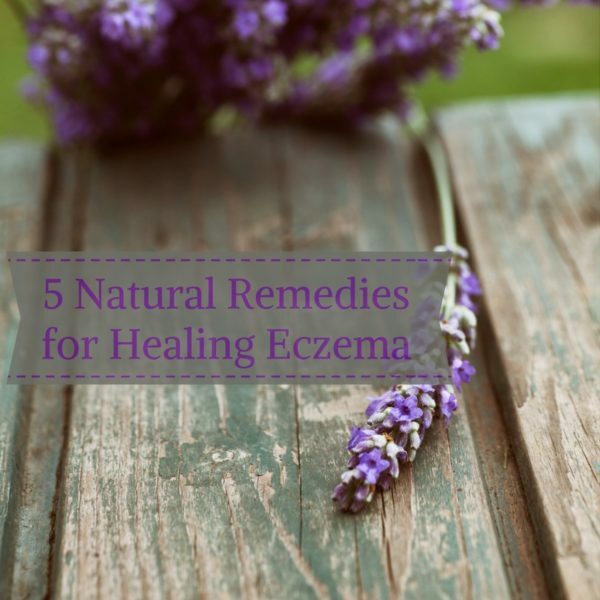 I cannot promise this will work for everyone, though I wish I could, simply because some people may be allergic to an ingredient, just like in any other product they may come across that promises to treat eczema. That being said, this lotion is my first choice in lotions as most on the market contain ingredients that aren’t organic and/or natural. People with some severe patches have also had great success with the Everything Salve. Coconut Oil. This is NOT my first choice. I love coconut oil and I mention it because it works for some people with light cases of eczema but I find that it’s simply not enough to combat the rash. If you have a light case, it can’t hurt to try this first before spending money on something else. Probiotics. Most often, especially with a food or medication intolerance, there needs to be healing of the gut, as these are gut issues. The probiotics should be of a good quality and used in combination with eliminating the cause. 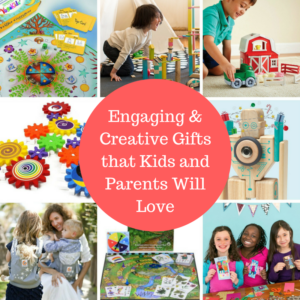 *Raising Natural Kids serves as an affiliate for Amazon, and links any products we use in our own homes and with our own families to Amazon when applicable. Great Article helpful ! I have used in the past a product called Ambrotose.It modulates the immune system.Eczema is an.overactive immune response so the cell a aren’t recognising what to do.efficiently. This product helps with cellular communication. It’s based on the discovery of essential.glycine…plant sugars. Usually people have too much of the wrong sugar making them.acidic. 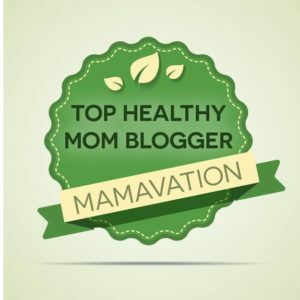 Worked a trwat when the kids were little …& even now! Thank you for sharing this article. I read it and told one of my friend who is suffering from eczema. Your article and others comments in which some people have discussed the another ways to treat eczema are really helpful. We just had an allergy test (HGG) done to see what could be causing my son’s eczema. He was allergic to bananas, apples, oranges, nuts, and wheat. This makes me think that maybe his gut just needs to be healed and these allergies will fade along with the eczema. Would love to know your thoughts. These COULD be it – the only way to know is to eliminate all of these from his diet for at least 3 weeks to see if there is a difference. I would also get a good greens drink into him to help with healing. What about seasonal allergies? 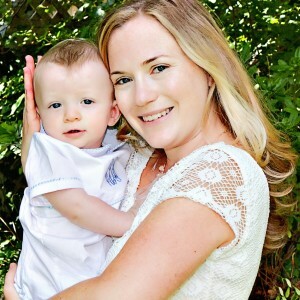 Both of my child have eczema breakouts during seasonal allergy season. One is not vaccinated, breast fed with no foods until 1yr, eats clean diet, with home made probiotcs. The other was partially vaccinated, breast and formula fed with foods at 5mo, now eats clean with home made probiotics. Both have pollen allergy. One with the winter grasses and the other with the spring pollen storm we get here in the South. We went up north during a pollen bloom and mine and her pollen allergy symptoms stopped. Upon returning down south, symptoms reappeared. What’s the fix? The fix – starting with getting local, raw honey into their diets, using an herbal histamine blocker like histablock by Nature’s Sunshine ( I open capsules and put in hnoey), getting regular chiropractic adjustments and also getting a homeopathic allergy remedy…. We use local raw honey, occasional chiro adjustments, and Hyland’s homeo Allergy tabs. I will look into the histablock! THanks for sharing that! I’m not sure what you mean about something being different besides the seasons. Every year during the southern “pollen blizzard” we’re affected. Its WAY worse here in the city, than if we travel to our farm about 30min away. I blame all the non native landscaping trees and flowers here in the city. The whole family deals with itchy eyes, throat, itchy runny/stuffy noses. But my daughter also gets tiny itchy, non red bumps (what i’ve assumed to be eczema) that suddenly pop up and definitely flare in itching while outside in the bad pollen areas. But only during the pollen season. My son gets the “hay fever” symptoms like the rest of us, but no eczema breakout (eczema diagnosed by doctors) until the winter months when the non-native winter grasses (tested positive for allergy) are growing. We don’t use artificial fragrance in our home or laundry. We keep the same natural soaps. Make our own sheabutter/coconut oil creams. Cook at home from scratch as much as possible. Read food labels on everything for dyes, preservatives, chemicals, etc. It sounds like you are doing lots of things ‘right’! I wonder though, besides seasons, what else is different at these times?